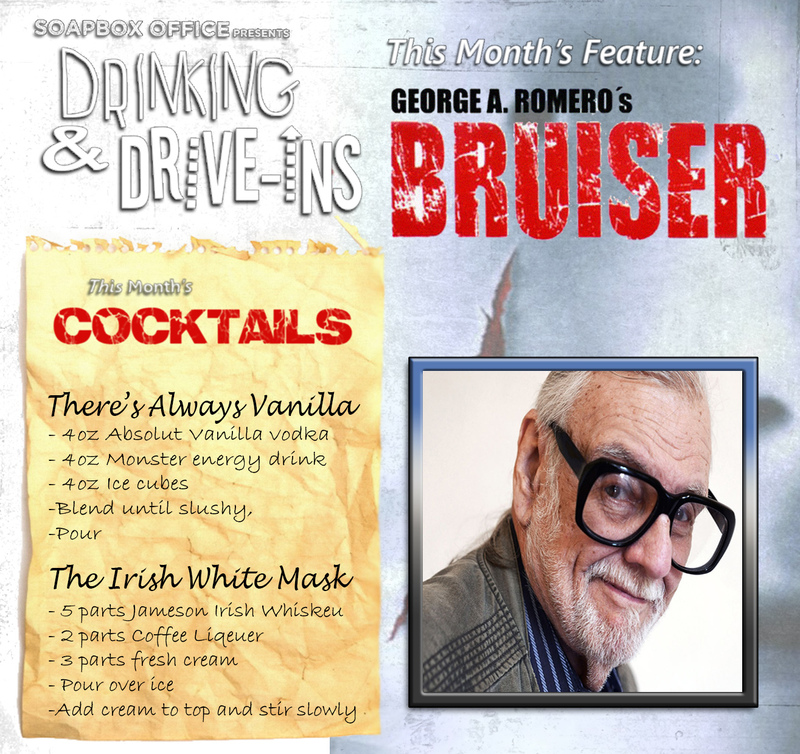 This week we again temporarily put aside Faults in the Vaults to concentrate on a Drinking and Drive-In's tribute to the life of the creator of the living dead, George Romero! Get ready to dawn a mask in order to finally be seen as we celebrate his 2000 film, Bruiser! In The News, we recap our 2017 Comic-Con experience of hanging at the IMDboat, shooting at The American Comedy Co, and dealing with the remnants of Con-Funk! We also take a dive into The Mailbag where we answer a listener query having to do with the greatest film quotes of all time. We continue the Romero-celebration in Diggin' Up The Doc's to discover the origin's of the man's career with Rob Kuhn's 2013 documentary, Birth of the Living Dead. Both it and Bruiser are currently available for free with an Amazon Prime subscription! In a special Soapbox PSA, Josh talks about The New Beverly Cinema's August tribute to Michael Parks, Parksploitation! All month in August, The New Bev will be screening some of the best and most rare Parks movies he ever did!